Sciblogs | Is It Ethical for Nutrition Scientists to Accept Industry Money? Numerous studies suggest conflicts of interest are damaging nutrition science. But with federal funding in short supply, what’s a researcher to do? For nutrition scientists in academia, career advancement hinges on winning grant money to do research and publishing the results in prestigious journals. There’s stiff competition, however, for limited federal funding. Though the numbers aren’t readily obtainable across all U.S. agencies, one analysis pegged total nutrition research spending in 2009 at nearly $1.6 billion per year; by comparison, the annual National Institutes of Health budget is almost $37.3 billion. Food, beverage, and supplement companies provide a tempting alternative source of grants. But although scientists who take such funding may not even be conscious of it, the cozy corporate ties are likely to bias their study findings to the sponsor’s advantage. Is it ethical for nutrition scientists to accept industry money? 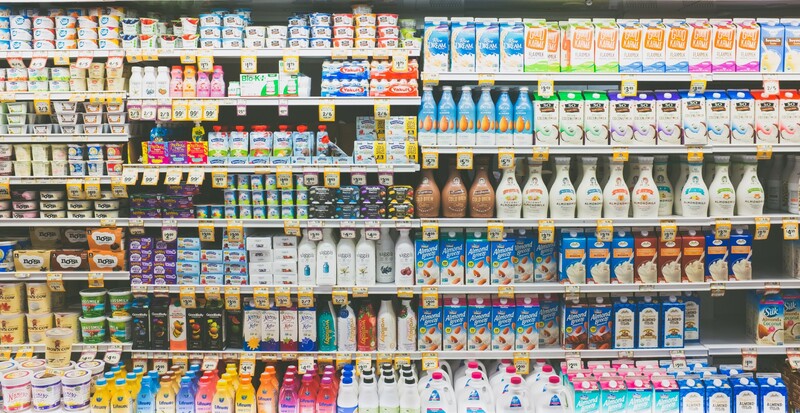 In recent years, we’ve seen journalism exposés revealing the powerful hand of food and beverage companies in manipulating nutrition research to self-serving ends. There was the NIH’s trial of moderate drinking, shuttered last June after it came to light that beer company-funders had inappropriate influence over the study design. And there was Coca-Cola’s strategy of funding investigators who emphasize physical activity as a solution to obesity — rather than dieting and avoiding, say, soda. So pardon if I raise a dubious eyebrow when the latest headlines announce that a daily glass of milk can lower blood sugar levels and help manage diabetes — or that a prescription fish-oil pill dramatically cuts the risk of heart problems. Indeed, in her soon-to-be-released book — “Unsavory Truth: How Food Companies Skew the Science of What We Eat” — nutrition researcher and New York University emeritus professor Marion Nestle (no relation to the food manufacturer) urges us to “envision a red warning flag flying high in the air,” whenever a report claims that a single food product, ingredient, beverage, or supplement raises or lowers the risk of obesity or disease. For one thing, overall dietary patterns, and not any single factor, are what matter most to our health, she notes. And in many cases, as she details in the book, studies boasting positive health effects are underwritten by corporate manufacturers. Conflicts of interest from such funding are damaging nutrition science, Nestle says, by skewing research toward producing data more useful for marketing purposes than for basic science or public health. But it’s a real catch-22 that warrants examining — particularly since many scientists don’t even recognize the predicament, according to Nestle. For recipients of corporate grants, she says, the funding-induced biases usually happen unconsciously and unintentionally. Of course, not every commercially-backed study is necessarily biased, and food industry-sponsored research has given us some pivotal advances, such as the discovery of how trans fats raise heart disease risks. Yet, on the whole, a considerable pile of meta-research on industry funding in other areas — mainly pharmaceutical drugs, chemicals, and tobacco — “demonstrates beyond question that the source of funding profoundly influences research design, particularly the research question and interpretation of the results,” Nestle told me in an email. While there has been less investigation into such effects in the field of nutrition science, the limited studies that have been done suggest they likely exist here too. One Spanish meta-study in 2013, for example, analyzed 17 systematic scientific reviews on the link between drinking sugary beverages and weight gain; it found that those funded by soda manufacturers and the sugar industry were five times more likely to conclude there was no connection, compared to reviews in which no financial conflicts of interest were disclosed. More recent meta-reviews similarly suggest that food-industry sponsorship skews findings toward underestimating the adverse health effects of sugary drinks, and pushes a research agenda that’s favorable to corporate bottom-lines. On the other hand, some investigators who accept food industry grants have questioned whether research by independently funded nutrition scientists may in itself be distorted — by “white hat bias” fostered by a sense of anti-industry zeal. In the face of such arguments, it’s easy to feel flummoxed. Is no nutrition study to be trusted? For another perspective, I called philosopher of science Kevin Elliott of Michigan State University. It isn’t crazy to think that white hat bias might influence some studies, he told me — but he’d like to see more evidence for its existence. As a counterargument from industry defenders, “it’s clearly rhetorically, really clever, because then they can end up just saying, ‘Well, each side has their own bias,’” he told me. But given all the evidence of industry-funding influence across different disciplines, “there are legitimate reasons to say it’s not just that industry is on one side and other folks are on the other side,” Elliott said. When companies sponsor research relating to their products, he pointed out, they simply have enormous incentives to do all they can to make those products look good. Nonfinancial interests or intellectual leanings that may also factor into scientists’ hypotheses can be important to consider too, noted Justin Biddle, a philosopher of science at the Georgia Institute of Technology. But investigators in the same community have different interests, and those “tend not to systematically skew research results in the way that financial conflicts of interest do,” he said. Okay, so if a nutrition scientist is early in her career and scrambling for grants, should she take industry money? What do the philosophers and ethicists think? With industry funding, investigators may have little control over the research process, including how the studies are designed, how data is collected and interpreted, and how results are communicated, Biddle noted. In such cases, “I think that it’s unethical to take funding,” he said. But if the nutrition scientist could retain control over the work in ways that ensure its legitimacy, accepting company grants may be acceptable in some circumstances. Then, a primary question to consider is, “Will the research results be important in benefiting society?” If corporate funding will help researchers do a valuable study that otherwise wouldn’t be possible, you can argue that the chance to gain new knowledge may be worth it. But here’s the rub: Scientists need to recognize that if they receive industry funding, “people just aren’t going to trust [their] work as much,” Elliott said. In a 2017 study, he and his collaborators at Michigan State and University of Leeds found that people were less likely to trust the findings of a hypothetical study about trans fats or genetically modified foods if a corporate partner, such as Kellogg’s, was involved. Such lack of public confidence is problematic if scientists think the information from their research might be used to guide healthy dietary choices in consumers, Elliott said. Another caveat is that even if researchers think they’ve negotiated a good corporate funding contract that guarantees full scientific freedom, there can be subconscious motivations to generate certain outcomes if future industry funding depends on those outcomes, Elliott and others noted. Industry influence can happen in subtle and not-so-subtle ways, even though most scientists claim they’re immune, said ethicist Daniel Goldberg of the University of Colorado Denver. (For a list of well-worn rationalizations, see Goldberg’s “COI bingo” chart.) Financial conflicts of interest are all about human relationships, he told me. Despite all the emphasis on disclosures of industry funding as a solution, it does nothing to disrupt this relationship-building process. “It’s a crappy remedy,” Goldberg said. His advice? If you do accept corporate grants, “seek at all turns to try to lighten and minimize and disentangle the depth of the relationship.” For instance: No lunches, phone calls, or direct emails with the industry partner, and no detailed discussion of scientific manuscripts before publication. System-wide remedies are needed, such as increased public funding for nutrition research, or requiring large food corporations to pay a tax or fee for research — funds to be distributed by a government agency or independent entity. A model for the latter already exists: The Italian Medicines Agency requires drug makers to contribute 5 percent of their annual marketing expenditures to a program supporting independent pharmaceutical research. Thanks for this article Ingfei Chen. Sounds like this is a generic issue, not special to nutrition science. What happens then if you work in a publicly owned organisation that has its own commercial outlets. Is this any different to being at say a university and taking grants from industry? Hi Jack. FYI this article was originally published on Undark, and republished under Creative Commons. So the author is unlikely to be able to respond to you on Sciblogs.